Solbrella Designs makes custom, outdoor covers with your preference in mind. They travel to your doorstep and custom-make the covers you need specifically for the items you want to cover. 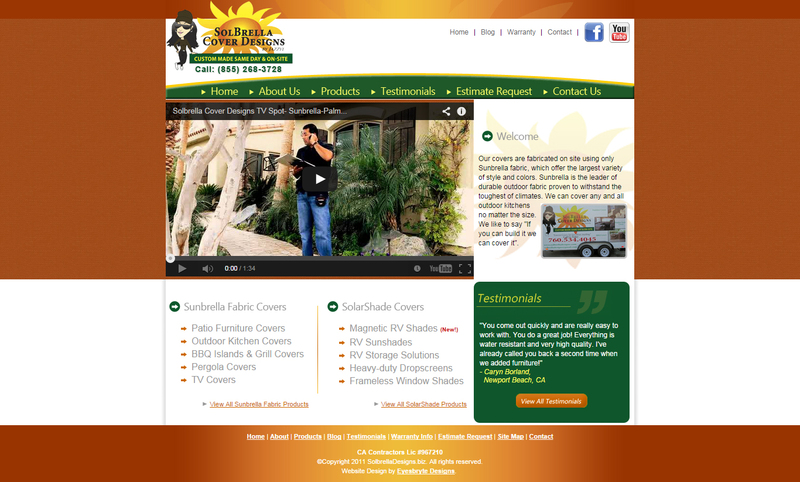 The Sunbrella product used by Solbrella Cover Designs is one of a kind, as is their customer service. All of their covers are measured, sewn, altered, and installed professionally on the premises. We don’t make products that are one size fits all. Our covers are of the highest quality materials and we back them up with a 3 year full warranty. We will design all of your outdoor covers as promised and will keep at it until you are completely satisfied! Contact us now for a free estimate!